Posted on April 29, 2014 by Todd Legal, P.A. A Florida appellate court recently made some important decisions for anyone interested in Florida homeowners insurance. Do you need to know about the legal impact of issues with Examinations Under Oath, Proofs of Loss, and the Other Policy Conditions. Then you must read this article. The Fourth District Court Appeals recently issued the first decision on conditions precedent in insurance policies since the Curran case. Things are too busy at Todd Legal, P.A. to do the usual “deep dive” into the ruling and the impact, but I wanted to make sure everyone was aware of the decision. As you know, we at Todd Legal provide software and other innovative services to Florida’s property insurers and their attorneys to deliver legal services that are smarter, cheaper, and quicker than what insurers have come to expect. We are nearing the delivery stage, so I am not going to be able to timely analyze this Rodrigo decision in enough detail to assess its overall impact. In summary, the Fourth DCA held that the proof of loss provision is still a condition precedent after Curran. I encourage you to read the full opinion and focus on how the requirement was laid out in this policy, including the loss settlement provision. Once again, we will await the next decision to see how courts may eventually interpret the EUO provision after Curran, but this decision certainly helps insurers and their attorneys when they try to explain to the judges that Curran may only apply to auto accident/UM cases. I apologize for the brief analysis and will try to supplement this article in the near future. Posted on April 7, 2014 by Todd Legal, P.A. Florida’s Supreme Court recently issued an opinion that could change the way insurance claims and evaluated. Do you know what the Court said? In March, Florida’s Supreme Court decided whether an insurer of uninsured motorist (“UM”) coverage has to prove prejudice when the insured fails to attend a compulsory medical examination (“CME”). As you know, we first addressed this issue almost a year ago in this article. The Curran decision contains a lengthy analysis of the relevant Florida case law; however, in summary, the Court determined that a CME provision in the UM insurance policy context is a condition subsequent to coverage for UM benefits; therefore, State Farm was required to plead and prove that the insured’s failure to attend the CME prejudiced State Farm. Ultimately, the Curran decision hinged on what type of policy provision the CME provision is: a condition subsequent or a condition precedent. State Farm argued that the CME was a condition precedent to coverage. If State Farm prevailed, then it would have had a presumption throughout the litigation that the insured’s failure to attend the CME prejudiced State Farm (like breach of the prompt notice provision). By contrast, the insured sought to have the CME be characterized as a condition subsequent because, if so, State Farm would have to plead and prove that the insured’s failure to attend the CME prejudiced State Farm. The Court agreed with the insured; therefore, the Court required State Farm to prove it was prejudiced. The Court started the analysis by describing the public policy behind the UM statute, Fla. Stat. 627.727(1). The Court explained its decision must include the public policy behind this statute. Next, the Court simply stated that the CME occurs after the parties enter into a contract and after a claim occurs; therefore, the Court opined that the CME provision was a condition subsequent to coverage. The Court reasoned that the CME provision was a part of the cooperation clause. Under Florida law, insurers have the burden of proving prejudice for breach of the cooperation clause provisions. Importantly, the Court did not remand the case for further fact finding; instead, it determined that State Farm failed to prove prejudice as a matter of law. Thus, not only did State Farm fail to obtain the presumption, they lost the issue altogether. What does Curran mean for Examinations Under Oath in homeowners insurance cases? Advocates for insurers would argue nothing, and insureds’ attorneys would argue everything. The Court was careful to explain that this decision was strongly influenced by the UM statute and public policy, and the Court did not mention whether the cases it cited on the EUO provision were incorrectly decided. Thus, insurers’ and insureds’ attorneys have room to argue their points on whether Curran should be extended to property insurance EUO failures; however, neither has direct support from the Florida Supreme Court. This decision is similar to the Court’s decision in GEICO v. Nunez, where the Court heavily relied on the specific statute at issue, and not just the insurance policy. Posted on April 1, 2014 by Todd Legal, P.A. Are you up to date with the latest Florida Court rulings on homeowners insurance, sinkhole claims, and sinkhole activity? If you aren’t sure, then make sure to check out this article! Federal Judge James Whittemore recently joined Judges Radabaugh, Merryday and Lazzara in finding that “structural damage” caused by sinkhole activity must mean more than “damage to the structure caused by sinkhole activity” This litigation involved an insurance policy that did not incorporate the Senate Bill 408 “structural damage” definition; therefore, the parties disputed whether coverage for sinkhole activity required more than just cracks caused by sinkhole activity. (3) damage that could cause the house to collapse? Does an insurer with a pre-408 policy breach the policy when it does not conduct a full subsidence investigation in accordance with the pre-408 version of Fla. Stat. 627.707? Testing Requirements: Judge Whittemore also determined that Liberty Mutual did not breach the policy when it did not conduct a “full” subsidence investigation to eliminate sinkhole activity as a cause of the damage. Again, we see trial courts construing the words “structural damage” to mean more than what we are used to seeing. As you know, 20+ courts have determined “structural damage” simply meant “damage to the structure.” This “lowered” standard resulted in any cracks triggering coverage for “sinkhole loss.” With the newer interpretations, though, courts are now asking the homeowners’ expert to show that the sinkhole activity is causing substantial damage to important parts of the property. As you know, this issue only remains relevant to those claims and cases arising under policies without a definition of “structural damage.” Since late 2012, many of the insurers added a definition and removed all doubt on this issue. Nevertheless, thousands of cases remain with these pre-408 policies, so these rulings could continue to build substantial momentum for insurers. I think the most amazing thing about this line of decisions is that this issue is still relevant in 2014. Why is the “structural damage” issue still relevant? If insurers had innovative services in 2006 using the same arguments they had now, they would be done paying the millions it continues to cost to litigate these issues, and the “structural damage” issue would have been irrelevant (one way or the other) 8 years ago. Posted on March 13, 2014 by Todd Legal, P.A. What happens when Florida’s Citizens Property Insurance Corporation and a group of Plaintiffs’/Policyholders’ attorneys decide that the litigation just doesn’t make business sense anymore? Read this first of a series on Citizens’s multimillion dollar settlements with plaintiffs’ attorneys to resolve hundreds of sinkhole cases. After this article was posted, Citizens settled an additional 300 cases with Thompson Trial Group and 600 cases with Marshall Thomas Burnett. Make sure to read those articles after you finish this one. Correction: The Tampa Bay Times is reporting that Citizens may have reported the settlement without having confirmed that the policyholders agreed to it. For more information on this and other issues relating to Citizens’s legal defenses, see this March 18, 2013 article. Nevertheless, because it appears the policyholders’ attorneys in this settlement agree this is a good outcome for their clients, there is a good chance that many of these cases will get resolved. If new information arises, I will update this article. Citizens’ press release applauded coordinating counsel for the settlement. In the press release, Citizens states that this settlement will save it $30M in legal fees. In my opinion, this appears to be a win-win for both parties. No one can be sure without reviewing the terms of the releases; however, what is clear is that (1) the policyholders will obtain repaired homes and (2) Citizens will be spending its money repairing homes, instead of litigating these issues. That means the parties achieved what they set out to do. Although you might argue that this result could have happened sooner, both sides had significant victories over the past year or so, and this allowed each side to modify their position towards the middle. This settlement shows that both sides had a mutual respect for each other and put Florida’s and the policyholders’ interests ahead of their own. Congratulations to all involved. This is also a win for litigation project management. Innovative services like THIS are the only way to effectively handle property insurance litigation. These cases were not that complicated when you approach them categorically. For insurers with more than 5-10 law firms handling their cases, panel counsel need a coordinating counsel or a software tool that performs the same tasks and oversight. Panel counsel simply do not have the tools or the incentives to make these types of decisions. Applying litigation project management principles, coordinating counsel and/or equivalent software needs to direct panel counsel by (1) identifying the insurers’ goals with the client, (2) breaking down each stage of litigation, and (3) determining how to optimize the process at each stage (and not waste money). Coordinating counsel must also identify and automate the routine tasks, and insurers can purchase customized software for litigating property insurance claims in Florida to automate the routine tasks. Otherwise, all the time and money goes towards attorneys and adjuster laboring over routine tasks all day, and there is no time for critical thinking. As you can see from the Citizens example, when insurers set up the structure to make intelligent results happen, intelligent results happen. Companies that make these tough, innovative decisions will be rewarded. Companies that punt these tasks to their attorneys without a top-down strategy will waste millions of dollar and hours to achieve less favorable results. Citizens did a phenomenal job of embracing litigation project management. If they would have added the key component of software to the mix, they could have really gained power and control over these cases from the lawyers. If you want checklists and guides to help you reach results even better than this without spending a fraction of what Citizens spent, please message me. Posted on February 18, 2014 by Todd Legal, P.A. The Fifth DCA, in State Farm v. Fred & Carol Phillips, held that the homeowners had to enter into a contract to obtain coverage for sinkhole stabilization repairs determined by the appraisal process. This is a positive order for the insurance industry; however, it may not be broad enough to provide certainty in the trial courts on the main issues being litigated. Policyholders’ attorneys will argue that this order is limited to appraisal awards where no other breaches exist. They will say that this case does not apply when an insurer chooses its own engineer, refuses the repairs recommended by the insureds’ engineer, and does not resolve damages in the appraisal process. This is a much more common scenario than the situation in Phillips. Insurers’ attorneys may argue this is the authority they have been looking for to support a multitude of arguments they have been urging the trial courts to enforce. To support any statutory sinkhole argument, insurers’ attorneys will urge the trial courts to conduct the same analysis the Fifth DCA did in Phillips on the legislative intent of the sinkhole statutes. Insurers’ attorneys may also argue that this order shows they could never breach the policy in a sinkhole insurance claim until the insureds entered into a contract for repairs and the insurers refused to pay in accordance with that contract. From a practical standpoint, the important question is whether this order creates any legal issues that help the parties avoid trying sinkhole cases. In other words, does this order create any summary judgment potential that was not already present? Probably not. Ultimately, this case is not broad enough to provide any specific guidance on these issues; however, insurers do have authority to ask the trial courts to genuinely assess the legislative intent of the sinkhole statutes. Moving forward, it is important to note insurers do have many important sinkhole issues currently pending with the Second DCA, so we should not have to wait too much longer to get answers on the most litigated questions in Sinkhole Alley. I have all of the forms and strategies you need to make results like these a reality in any case. If you are interested in seeing templates, checklists, and guides to assist you with your sinkhole case, please message me. Posted on February 14, 2014 by Todd Legal, P.A. It’s not too often that suspicions of insurance fraud lead to a lot of evidence, but First Party Property Insurance Blog’s article on this public adjuster’s alleged fraud ring has plenty of details regarding how Miami-Dade police plan to prove their case. This is a story about arrests, fires, water leaks, public adjusters, and more. Check this article out to learn more about the Jorge Espinosa case and what you need to know. And check out our update from May 22, 2015 after the break. 31 people have now been arrested. Police raided Espinosa’s house and arrested him for the additional charges of racketeering, arson, and grand theft. 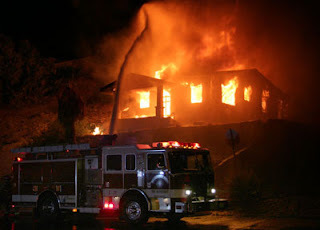 As this article explains, police allege Espinosa is responsible for 20 fires and 5 floods. As discussed below, if this turns out to be true, this is very unfortunate. As I said one year ago on the subject, Florida’s public adjusters can make plenty of money without defrauding insurers. Most public adjusters do practice within the confines of the law, but these bad apples ruin it for everyone – increased scrutiny, increased claim costs, increased policy premiums. 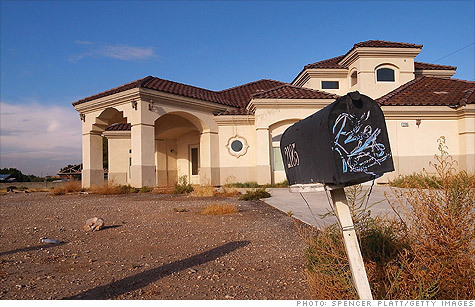 Additionally, this is just more lesson for homeowners insurers. It’s 2015: technology can provides insurers with the ability to know everything about their claims in an instant. Claims professionals armed with technology identify fraud better, faster, and cheaper than professionals using antiquated claims systems. With the right time and effort, any insurer can have automated reports on all of the key claim factors. Or, without any effort at all, any insurer can use CaseGlide to have vendors populate this data for them, and arm their claims team with actionable analytics on all of their claims. For those of you who missed it, Miami detectives recently concluded a thorough investigation into a potential $7.6M homeowner’s insurance fraud scheme, and arrested 22 people. The fraud investigation centers on Jorge Espinosa of Nationwide Adjusters, LLC. In short, the arrest affidavit alleges that Espinosa and dozens more had a relatively complex ring involving several parties and a referral network. They allegedly had “runners” recruiting homeowners, remediation companies creating exorbitant bills, and fire and water leak creators. Further, the arrest affidavit details that certain attorneys allegedly knew that the claims were fraudulent, not covered, yet allegedly continued to represent the homeowners. The alleged fraud amounts to over $7M. Frankly, if the allegations are true, there is no place for this. There are hundreds of Florida public adjusters and policyholders’ attorneys that make plenty of money without filing any fraudulent claims. Furthermore, claims personnel will never forget this, and now they must to increase their claim scrutiny moving forward to make sure they are doing their job, whether it means conducting more examinations under oath or enforcing other conditions precedent. This slows the claim process for innocent homeowners. In addition, instead of helping resolve new claims, insurers must assign personnel to investigate their old claims to see if they may have been defrauded. Ultimately, this investigation is in its very early stages. We will see whether there is more cooperation that could result in revelations about additional schemes. Disclaimer: All of the people in the arrest affidavit are innocent until proven guilty. Charges are often dropped or reduced. How can something like this happen? It’s easy when homeowners insurers have hundreds of people handling claims and cases without any ability to easily share and retrieve information. Although most insurers probably had personnel talk about these things at the water cooler at lunch, only one carrier had the wherewithal to take the time to stop this alleged fraud. What does this say about the way homeowners insurers do business? Shouldn’t every insurer set up their staff to have the opportunity, time, and resources to conduct this investigation when they need to. If you want to be able to have all of your claim and case information searchable, reportable, easily retrievable, and usable for the next case, please message me. Posted on February 3, 2014 by Todd Legal, P.A. Want to read about the definitive appellate decision on sinkhole coverage and neutral evaluation? You have come to the right place. In Trapeo v. Citizens, the Second DCA recently reminded us that neutral evaluation for sinkhole claims is mandatory regardless of when requested. In 2009, Citizens issued the insurance policy at issue to the Plaintiff, Gary Trapeo. In 2010, he reported a sinkhole claim. In 2012, he filed a lawsuit against Citizens alleging its repair recommendation was not sufficient to stabilize the property. In December of 2012 and after the parties engaged in discovery, Citizens requested neutral evaluation. In addition, Citizens filed a “Notice of Automatic Stay” with the trial court requesting the case be stayed until after the parties participated in neutral evaluation. Mr. Trapeo objected to the Notice and argued that Citizens, by participating in the litigation for approximately 10 months, waived its right to stay the case and demand neutral evaluation. The trial court agreed with him and denied Citizens the opportunity to submit the claim to neutral evaluation. The Second DCA first addressed whether the 2009 or 2011 version of Fla. Stat. 627.7074 (the neutral evaluation statute) applied by the trial court. The main difference between the two statutes is that the 2011 version mandates stay of the case and participation in the neutral evaluation process “regardless of when noticed.” The Second DCA determined the stay portion of the 2011 statute was “procedural” rather than “substantive;” therefore, the 2011 statute must be applied to a lawsuit filed after its effective date. Citizens correctly argues that neutral evaluation, once requested, is mandatory. The trial court’s determination that neutral evaluation was waived conflicts with the express language of the statute. “Neutral evaluation is available to either party,” “supersedes the alternative dispute resolution process under s. 627.7015,” and is “mandatory if requested by either party.” § 627.7074(2), (3), (4). The statute’s language is compulsory; it repeatedly and almost exclusively directs that acts “shall” occur. There is no waiver provision and no timeframe for requesting neutral evaluation.2 It is an optional but statutorily guaranteed process. That is, once the request for neutral evaluation has been filed with the Department, participation in neutral evaluation is mandatory and guaranteed. See § 627.7074(4); cf.Williams, 62 So. 3d at 1135-36. Certiorari relief is appropriate because the trial court’s order purports to deprive Citizens of a statutory process to which it is entitled resulting in material harm. Cf.Williams, 62 So. 3d at 1136-37. This conclusion is supported by language of the statute applicable at the time the lawsuit was filed. The 2012 statute specifically provides, “Regardless of when noticed, any court proceeding related to the subject matter of the neutral evaluation shall be stayed pending completion of the neutral evaluation and for 5 days after the filing of the neutral evaluator’s report with the court.” § 627.7074(10) (emphasis added); cf. Cruz, 76 So. 3d at 398 n.1 (“We also note that section 627.7074 does not impose a waiver or other penalty when a neutral evaluation is not completed within forty-five days. Its proviso that ‘[n]eutral evaluation shall be conducted as an informal process in which formal rules of evidence and procedure need not be observed,’ § 627.7074(5), suggests that the legislature intended no sanction for failure to strictly adhere to the time period.”). The statute provides neutral evaluation as both a potential precursor to litigation and as a parallel, contemporaneous process. It is not an “either or” or “opt out of litigation” procedure, unlike contractual arbitration provisions. Cf. ch. 682, Fla. Stat. (2011) (applying to those instances where the parties have an arbitration agreement). It is also not a process that occurs as part of a civil proceeding, unlike court-ordered mediation, nor is it a presuit requirement. In addition, the Second DCA held “the circuit court does not have authority over the neutral evaluation process. The Department [of Financial Services] does.” Accordingly, the court determined that only the Department has the power to decide whether a party has waived its right to neutral evaluation. In addition, the court determined that Citizens correctly invoked the process simply by filing the Notice of Automatic Stay. Thankfully, this issue is now resolved. By my count, this is now the third time the Second DCA has ruled in an insurer’s favor requiring the parties to participate in neutral evaluation. I would assume this will be the last. To summarize, when a party requests neutral evaluation, the case is stayed and the parties must attend neutral evaluation. There do not appear to be any exceptions. In addition, if a party thinks there may be an exception, the trial court is not the forum, the Department of Financial Services is. For more information on sinkhole claims and insurance litigation, feel free to contact me at (813) 513-5440 or email me at [email protected] You can also find several articles addressing the legal issues arising from sinkhole claims here. Here is one of the few occasions when plaintiffs’ attorneys failed to properly use litigation project management. Although they might argue that they had an obligation to fight this issue, the statutes were pretty clear (and the majority of plaintiffs’ attorneys agreed) that neutral evaluation is required when requested. Plaintiffs’ attorneys are usually the best at making efficient and effective decisions using project management; however, they failed here. If you want to know more about the remarkable things that are being done to control homeowners insurance litigation, including checklists and guides for sinkhole claims, please message me. Posted on November 21, 2013 by Todd Legal, P.A. We are all about getting results. Read this article to find out about our one-of-a-kind successes with the “residence premises” defense. Make sure to read all the way to the end to receive our free offer for a Litigation Report. 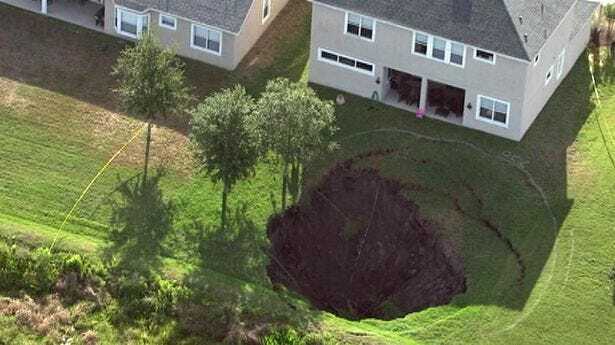 In a case where I was the attorney at the trial court level, Florida’s Second District Court of Appeals determined the insureds did not have homeowners insurance coverage for a sinkhole claim under an HO-3 policy because they did not reside at the property. If you are not familiar with the HO-3’s coverage requirement that the homeowners reside at the property, please review my analysis of the “residence premises” defense in this post. Although the decision is a PCA rather than a written order, I am excited to learn that this lengthy battle is (probably) over and that my client was able to enforce its policy’s requirements. Insurers, insureds and their attorneys have been ignoring this “residence premises” issue for years. Many thought that insurers lost the right to enforce the occupancy requirement when Florida courts construed the vacancy exclusion in the insureds’ favor. By refocusing the attention to the definition of “residence premises,” the courts understood and appreciated that my client only agreed to insure this home if and when the insureds occupied it. If you have any questions and want further information or documents, please contact us. I can bet you at least half of your attorneys have never heard of this defense, and another 25% aren’t checking for it because you aren’t asking them for it. If you want guides, checklists, and templates for winning this “residence premises” defense, please message me. Did this answer your Florida homeowners insurance claim question?